Head pose classification from surveillance images acquired with distant, large field-of-view cameras is difficult as faces are captured at low-resolution and have a blurred appearance. Domain adaptation approaches are useful for transferring knowledge from the training (source) to the test (target) data when they have different attributes, minimizing target data labeling efforts in the process. 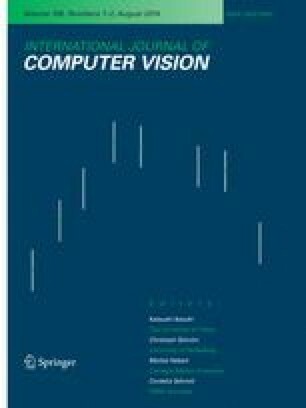 This paper examines the use of transfer learning for efficient multi-view head pose classification with minimal target training data under three challenging situations: (i) where the range of head poses in the source and target images is different, (ii) where source images capture a stationary person while target images capture a moving person whose facial appearance varies under motion due to changing perspective, scale and (iii) a combination of (i) and (ii). On the whole, the presented methods represent novel transfer learning solutions employed in the context of multi-view head pose classification. We demonstrate that the proposed solutions considerably outperform the state-of-the-art through extensive experimental validation. Finally, the DPOSE dataset compiled for benchmarking head pose classification performance with moving persons, and to aid behavioral understanding applications is presented in this work. The online version of this article (doi: 10.1007/s11263-013-0692-2) contains supplementary material, which is available to authorized users. The authors gratefully acknowledge partial support from Singapore’s Agency for Science, Technology and Research (A*STAR) under the Human Sixth Sense Programme (HSSP) grant, EIT ICT Labs SSP 12205 Activity TIK—The Interaction Toolkit, tasks T1320A-T1321A and the FP7 EU project DALI.